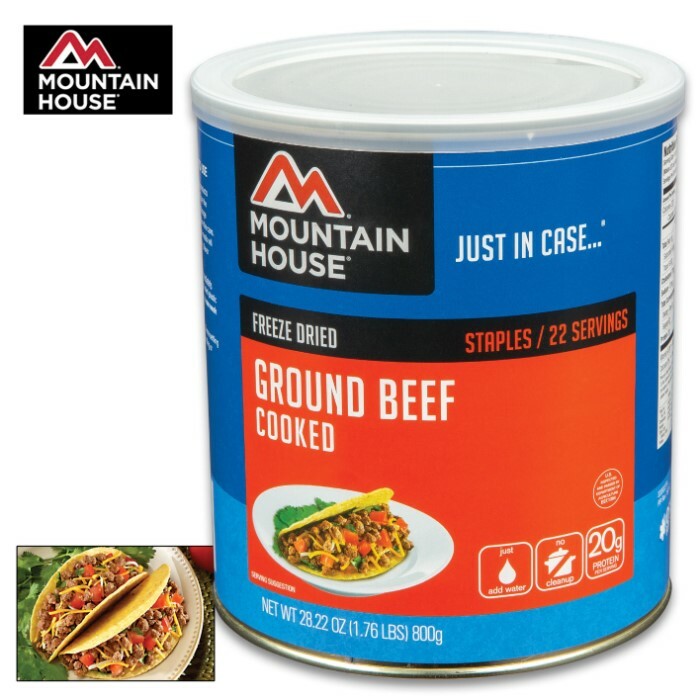 Mountain House Ground Beef Can 22 Servings | BUDK.com - Knives & Swords At The Lowest Prices! Feed your whole family plus the neighbors with this delicious can of ground beef from Mountain House. 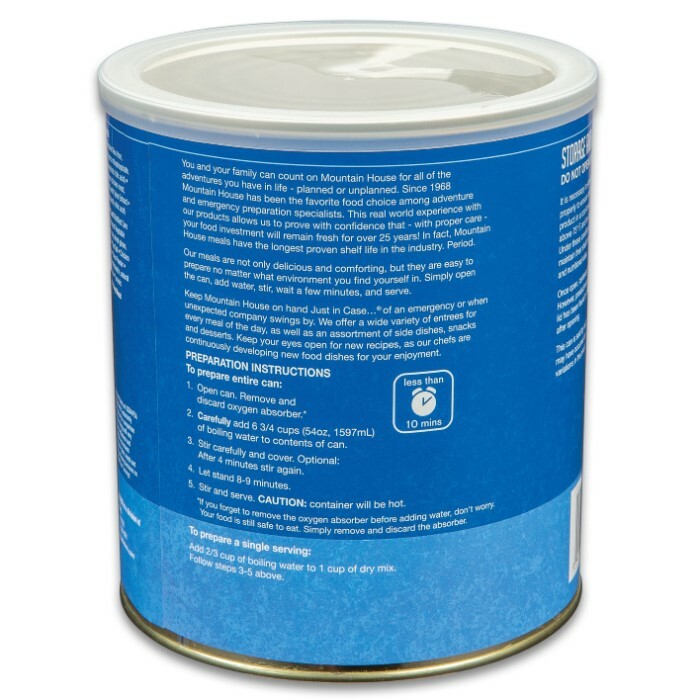 This single can of ground beef provides you with 22 full servings of cooked hearty ground beef. 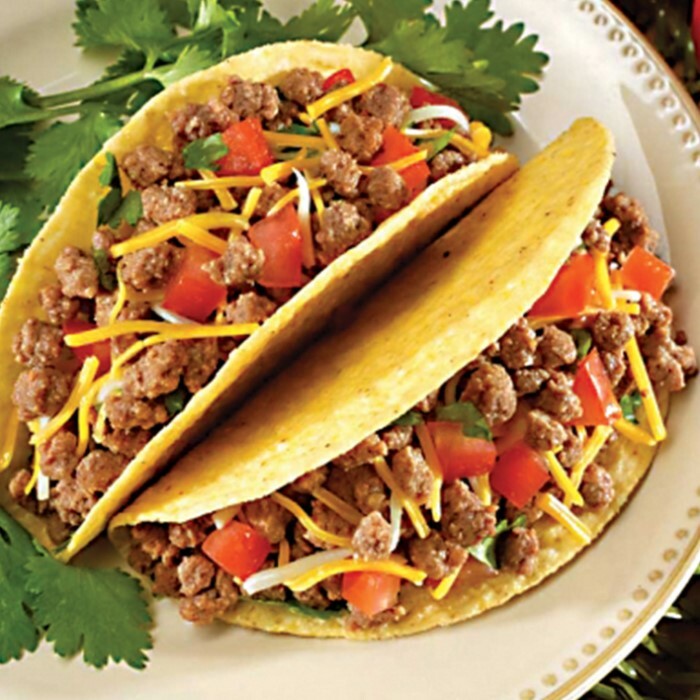 You can make tacos, sloppy joes or a virtually any recipe calling for cooked ground beef quickly and easily. This ground beef has a home-cooked flavor that will take you back to your grandma's table with every bite. Best of all, you don't have to worry with a ton of messy pots, pans or cooking utensils. It has a suggested shelf life of 25 years, making it great for camping, outdoors and bug-out bags.